Integration of machine and human knowledge is more effective rather than a single kind of knowledge in solving unstructured problems. 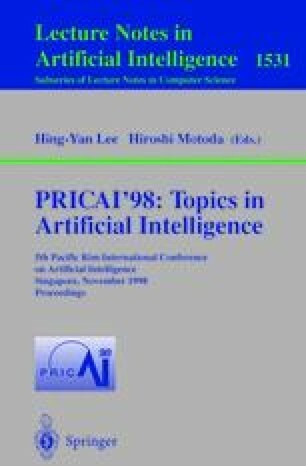 This paper proposes the knowledge integration of machine and human knowledge to achieve a better reasoning performance in the stock price index prediction problem. Causal model and the evaluation by experts generate the machine and human knowledge about the stock price index of next month, respectively. The machine and human knoledge are integrated by fuzzy logic-driven framework to generate the integrated knowledge. The conflicts among the integrated knowledge are solved by fuzzy rule base. The experimental results show that the propsed knowledge integrtion significantly improves the reasoning performance.